On February 6, 2019, Tom was summoned for an important appointment with his Lord and Savior Jesus Christ. A Memorial Service will be held Saturday, February 23, 2019 at 2:00 PM at Redeemer Lutheran, 332 Riverview 3 W, Great Falls. Cremation will take place later with a private burial. Thomas Vincent Gossack was born May 15, 1956 to parents, Stanley and Marilyn Gossack in Great Falls, the oldest of three siblings. After graduating CM Russell High School in the class of 1974, Tom entered college at the College of Great Falls where he earned his BA’s in both Biology and Chemistry. Tom met Francesca (Loch) at CGF and later became close friends after he asked her to work at ABBCO in the S.O.S. Lab. Life led to the two dating, and after four years together, proposing to and then marrying Fran on 2/11/84. Four years after marriage, Tom and Fran gloried in the birth of twin girls, 9/24/88, Lindsay Marie and Allison Michelle. During 1973, his junior year at CMR, Tom began working as a janitor at Central Machinery. As the CAT dealership changed hands, he worked for ABBCO and Tractor & Equipment Co. He worked part time through college in the parts warehouse and later the Rome line. After his 1978 College of Great Falls graduation, he moved up to a parts counterman. One year later, in 1979 he took training in Peoria, IL on CAT oil sampling. After the training, Tom was responsible for developing and running the S.O.S. lab at ABBCO. Over his 45 years working for Caterpillar, he wore many hats: PSSR in Havre, warranty officer, equipment salesman, parts department manager, and was the Tractor & Equipment Co. Great Falls branch store manager up until his death. Those 45 years at Caterpillar made him a treasure trove of information to many Montanans and beyond. Throughout his tenure, he earned many recognition awards. Work also provided him unique opportunities to travel, early on throughout the great state of Montana as a PSSR and equipment sales rep, and later to Peoria, Florida, Scottsdale, Jackson Hole, Germany, and more for both business and CAT education. Tom was a member and served on the board for the Montana Contractors Association and the Montana Association of County Road Supervisors. He loved to get things rolling for the Snow Rodeo and MAGIE. He also served one term on the Cascade County road advisory committee. A lifelong member of Redeemer Lutheran Church, Tom was honored to be elected to the Redeemer Lutheran Church council in 2001 and served as president in 2002. Since 2009, he also served on the ELCA MT Synod Council in various capacities and was the Vice President from 2014 until January 2019. He attended Churchwide Assemblies in Pittsburg and New Orleans. Tom was a member of the ELCA region one governing council consisting of six synods in northwest USA. Tom served on the Flathead Lutheran Bible Camp board in many capacities including President and Vice President, guiding several major building projects. He and Fran looked forward to meetings at FLBC on Flathead Lake. Ever since childhood, Tom found glory in the great outdoors. He grew up hunting, fishing and camping, and enjoyed passing those loves on to his girls. Summers were filled with weekend camping trips to the mountains, always near a body of water. Tom and Allison shared a special bond over hunting and firearms, especially. Fly fishing was near and dear to him too. 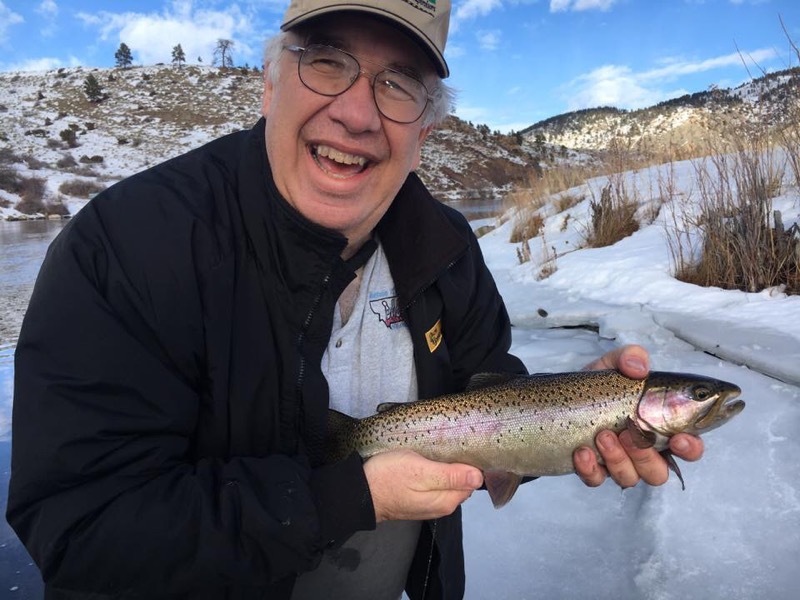 He found great therapy in time spent in the mountains being one with nature, and especially enjoyed sharing that time with friends and family. Tom was always welcoming to all, inviting them along to teach them to hunt and fish, and took great joy in passing on his knowledge and love of hunting and fishing. Tom was diagnosed with advanced stages of Esophageal Cancer December of 2018. Immediate treatment of radiation and chemotherapy began. The cancer caused him great weakness and great pain. On February 6 Tom was welcomed into the arms of The Lord. He stepped off the river bank and onto the stairs of heaven where he undoubtedly encountered the ultimate in fishing waters. Tom was greeted in Heaven by his parents, Stanley and Marilyn Gossack and younger sister, Marleen Ming. Once he caught up with all those he loved who had gone before him over several cups of coffee, he headed out to check out those splendid fishing waters, pausing along the way to check any yellow CAT machinery he saw. Tom is survived by his wife, Francesca. They were married for five days shy of 35 years. Daughters, Lindsay (Jesse) Nofziger, Snoqualmie, WA and Allison, St. George, KS (Tom and Fran both said they gained a son when Lindsay married Jesse Nofziger and were looking forward to gaining another son upon Allison’s marriage to Wesley McDonough); sister, Julie (Rick) Jackson, Bozeman, MT; brother-in-law, David Ming, Bozeman, MT; nieces, Ashley (Craig) Salmon and Ellie Jackson, both of Bozeman, MT; extended family, numerous in-laws, hunting and fishing buddies, brothers and sisters in Christ, and cherished friends. In honor of a man who is already missed by so many, it would be Tom’s wish to encourage all to spend time with family, hug your kids, indulge your pets, take a chance on a stray cat, and eat Oreos whenever you can. Love deeply, live vividly, and never miss a moment.